Open the Desura client on your desktop or if you don’t have the client installed, open the web browser and enter URL www.desura.com. Log in with your Desura account or create a new one. After you have logged in to Desura you can now activate your game key on Desura. To activate within your browser, scroll to the bottom of the page and click “Activate Key” in the blue box. For both versions enter the correct game code in the white box shown on the screen now, and after the code is inserted correctly press Activate. Open the Steam client on your desktop or if you dont have the client installed, open the web browser and enter URL store.steampowered.com and download the client there. Log in with your Steam account or create a new one. After you have logged in to Steam you can now activate your game key on Steam. 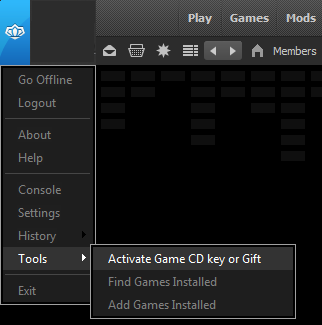 To activate your key on the Steam client, click on the Add Game button in the left bottom corner, and then select Activate a Product on Steam. Then click Next, read the user agreement and then enter the key in the field. After that, the game is added to your account and can be played from the Library section on Steam. 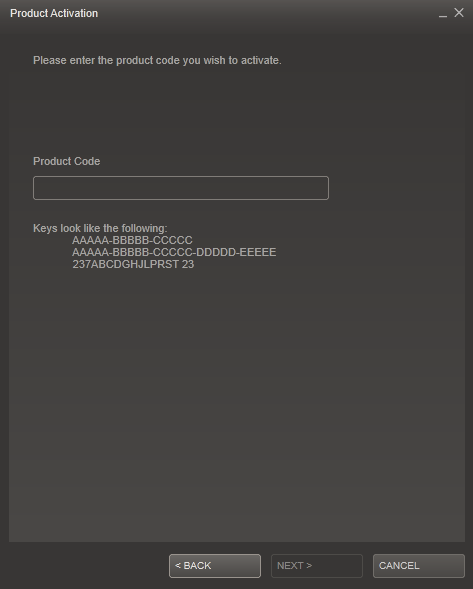 To redeem a key on GOG, you simply need to log in with your GOG account or create a new one. Then go GOG Gift Redeem page or if the link is not working go to the bottom of the GOG page and click “Redeem Gift”. Simply input the key in the text field and press continue (as shown on the image bellow). Note: GOG.com codes expire on a set date, which can be found in the appropriate Groupees offer description. How do I download the bundle via torrent? You can download all products from our bundles directly from your profile page, but you can also use Torrents to download the bundles. To download via Torrents you first need a Torrent Client on your computer. You can download different torrent clients, but here are a few that can be used with our site at the moment. After installing one of these Torrent clients on your computer you can go to your profile page on Groupees and select Torrent on the bundle of your choice. A torrent file will now download, which you can save to a drive or open directly with your client. Either option will download the bundle to your computer. When bundle has been changed (Groupees team added extra bonuses or updated version for any game file or other product), torrent file on you profile page is changed. In order to make use of it you should download new torrent file and overwrite the previous one on your computer, then run the file. For information on how to use the torrent clients, please refer to the torrent client website. How do I increase my payment? If you want to increase your payment after you have purchased a bundle, you can simply do so on your profile page. Go to My Profile and find the active bundle that you want to increase your payment for. Click on the blue button Increase Payment, and follow the procedure to add more to your current bundle payment. If your profile says “You need to make a purchase of $___ to get the first goal products!” then you can increase payment to the designated amount and qualify for the next tier of products. How do I know if I receive a Steam key from a Greenlight game? Groupees has had a lot of Steam’s Greenlight games in their bundles, so how do you know if you get a free Steam key for that game once it is Greenlit? The game’s product description on the bundle page will indicate if a Greenlight game gives you a Steam key once Greenlit. You can purchase a bundle with any major credit/debit card via PayPal, even without having to create a PayPal account. Select PayPal as your method of payment on the bundle page, and click Buy. On the right side of the PayPal payment page, you will find a “Pay with a credit or debit card” link which will allow you to enter your card information and buy the bundle with your card. How do I use Build A Bundle? In a Build A Bundle campaign, you are able to choose what products you want to purchase. At the top of the page you will find every product that is being offered, and below you will see smaller tiles of each of these again. By clicking these smaller tiles, you can select which products you will be buying. Such campaigns will often have a minimum number of products, so be sure to have selected at least the minimum, and enter a dollar amount above or equal to the minimum price. Then click Buy to purchase your custom bundle. How do I preview products? To preview a product in a Groupees bundle, simply click the tile of the product on any bundle page to reveal more information. Game previews will show information like a gameplay video or trailer of the video game, and further information, like a back story. It will also show system requirements, what platform it is for (ex. Steam, Desura or DRM-Free) and what kind of Operating System it uses (ex. PC, Mac, Linux). Music previews will provide audio samples of every track included in the bundle. 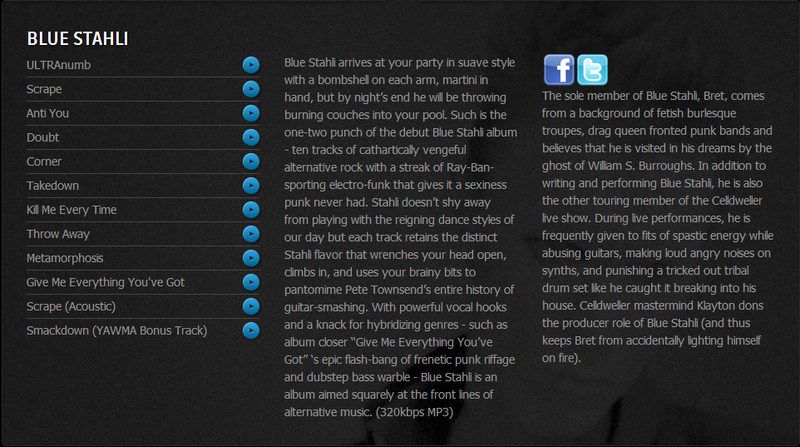 To preview a track, simply press the blue play button in the description of the album. The preview will also provide some artist information and relevant links. I got gifted a bundle, what do i need to do now? If you received a gifted bundle from a friend, then you should have received an email with a link. Click the link in the email and you will be redirected to a page where you can redeem your gift code for that particular bundle. If you dont have an account on groupees, you will need to create one before you can redeem the gifted bundle. Accounts can be created via Email, Facebook or Twitter by clicking the “Join / Log in” link on any page. After you have created an account or logged in to an existing account, you can redeem your gift on the redeem page from the link in the email. Press Redeem and the page will direct you to your Profile page, where you can now find the gifted bundle. 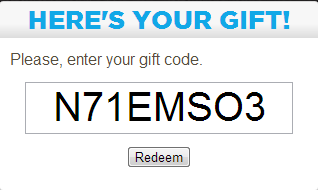 If for some reason the link or code gives you an error message, then your gift could already be redeemed. Simply log into your Groupees account and locate the redeemed gift. Otherwise, please contact Groupees support. Overall, PayPal transfers go smooth and fast, but sometimes a payment trought PayPal doesn’t work. This is almost always a PayPal problem, and you should check the PayPal site to see what the problem could be at the time paypal.com. If the payment went trough, but you don’t see the bundle on your profile page, then please contact Groupees support. If you encounter a payment problem with Amazon Payment that is not related to Groupees, then you should check the Amazon Payment page to see if any issues are known to them. When you make a payment via Amazon and the bundle is not shown on your My Profile page, then please contact Groupees Support. If your account is missing a game or album or anything else, please contact Groupees support via the live chat (at the bottom of any bundle page) or via the contact form. If a complete bundle is missing from your account, you should check if you may have created several Groupees accounts by accident, for example, one via Email, and another via Twitter or Facebook. If this is the case, you may have to log out and log back in to your other account from which you made the purchase from. If this is not the case, then please contact Groupees support via the live chat or via the contact form. 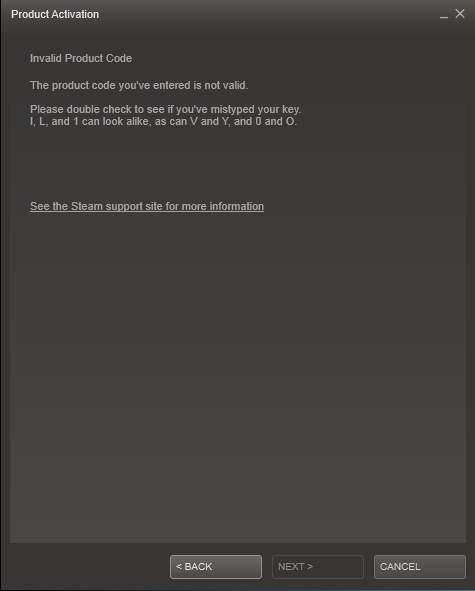 And this happens for all your Steam keys from the bundle, then you are locked out of the Steam activation. This can happen when you either enter a wrong key too many times, or on some occasions when you enter to many games in a row. Steam will then allow you to activate your key again after an hour. If after an hour your key still isn’t working on Steam, then please contact someone from Groupees Support. When you buy a product on Groupees.com it will be almost immediatly in your “Profile Page” (We do not send out an email with your purchase). To go to your Profile page click the My Profile link in the top right corner of the Groupees website. After you click My Profile you will be redirected to your profile page. This is where you will find everything you’ve ever purchased from Groupees.com. The Steam key will be added to your profile page on Groupees, and will be shown under the game that is Greenlit. You can redeem your Steam key via a website provided by the developer of the game. We will also explain this on your profile page and via email, Facebook and Twitter. You can redeem your Steam key via Desura. The key will be on your profile page. To redeem a Steam key provided by the developer on Desura, you need to either open the Desura Client or open Desura via a browser. 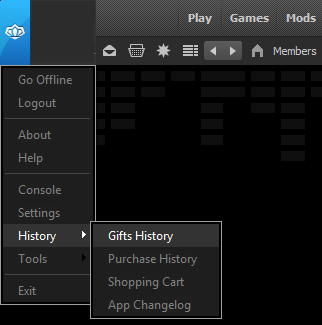 Click the Desura icon and then click on History ‣ Gift History. Then scroll down to the bottom of the client page, and click on the link View Your CD-Keys. Now you can find the game that got greenlit on Steam. Next to the game title there should be a Request Key option. Click it and now you will see a key. That is the Steam code provided by the developer.